While richly layered landscapes have traditionally defined my collection, my more recent work concentrates on the deconstruction of the prairie landscape. Strokes of vivid colour like an evening sunset splash across a canvas as wide as a prairie horizon. 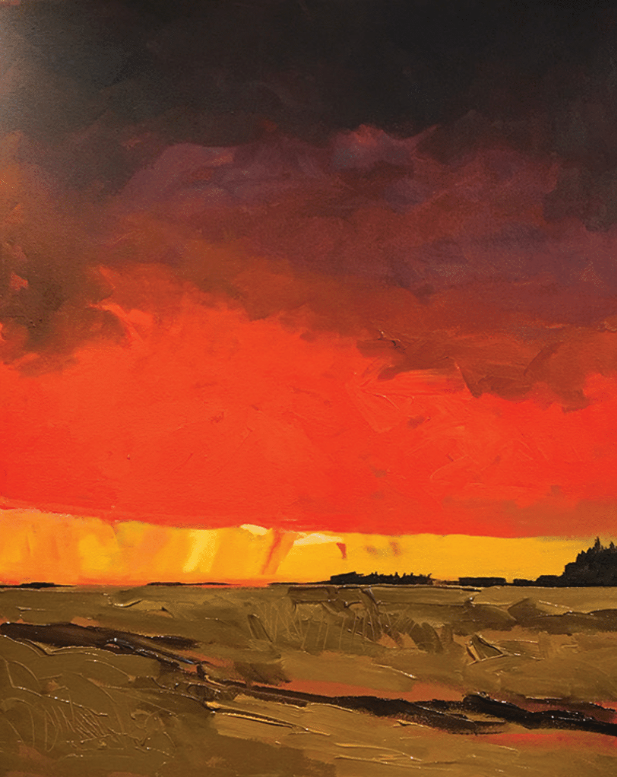 My larger paintings stretch to over five metres in width and hang in some of Winnipeg’s most prominent businesses, bringing the aura of prairie nature indoors.